Water damage is rarely just water damage. Meaning, if you have a flood or a water disaster in your home, you will probably have to deal with more than just the water. There are a few different ways that water damage opens the door for other types of damage to harm your property. However, the most common and most destructive by far is mold. Mold thrives in high moisture environments making the scene of a flood prime territory for mold spores to begin growing. If your home has flooded, you should be on the lookout for mold soon after. Mold can start growing as soon as 24-48 hours after the initial disaster. You should also take into account the climate of where you live. When it comes to climate, humidity always equals bad news in regard to mold growth. If you live in an area with very low humidity, the mold will take longer to grow in your home and will not spread nearly as freely or easily as it otherwise would. However, if you live in a high-humidity area the exact opposite is true. Mold growth is common around windowsills, pipes, and other moist areas of the home in humid areas even when there is not flooding. Fortunately, our team of certified restoration professionals at Valleywide Restoration in the Gilbert area handles cases jointly involving mold removal and water damage restoration every single day. Here are a few more important things to know about water damage and mold removal. Temperature has a strong influence on mold growth. different types of mold have minimum, optimum and maximum temperature ranges for growth. Many fungi grow well at temperatures between 60 and 80 degrees Fahrenheit, which are also ideal temperatures for human comfort. Most molds must get their food from the environment, living and feeding on dead, organic matter. Outdoors, molds are very important in decomposing organic materials and recycling nutrients. Indoors, many building components and contents contain materials that are excellent food sources for mold, such as wallpaper glue, some paints, greases, paper, textiles, and wood products. Indoor dust may contain fibers, dead skin cells, and other organic matter that can serve as a food source for mold when adequate moisture is available. This is a pretty basic fact about mold growth. 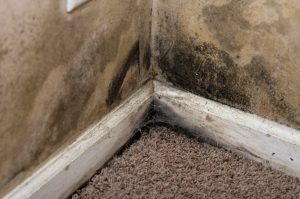 Your home is prone to mold growth anywhere there is concentrated moisture, and the greater amounts of moisture that is there the more likely the mold are to take root there. Time is a HUGE consideration when it comes to water damage and mold. One of the worst things you can do after a flood is to not take immediate action. Yet, doing this on your owner can be a dangerous and complicated process. It is always best to call the pros in such a situation. 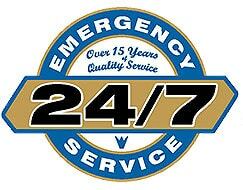 With emergency restoration technicians available 24/7 at Valleywide Restoration in Gilbert is here to help you after a flood to clean up all the water, hopefully any mold from ever growing in the first place, and if mold does begin growing then removing that for you as well.